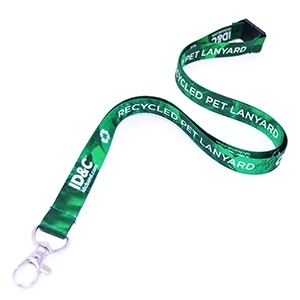 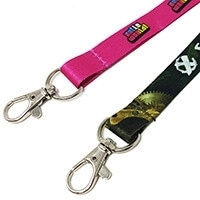 By incorporating a Recycled PET Fabric we have been able to create an Eco Fabric Wristband and an Eco Lanyard. 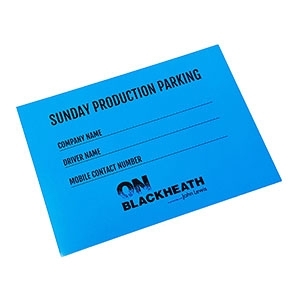 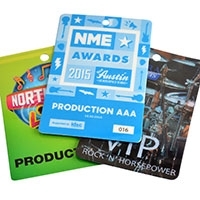 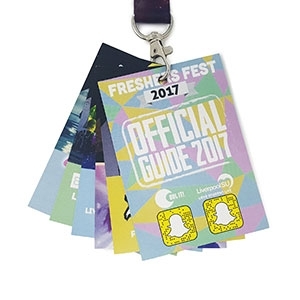 We have also made a recyclable option for many of our other favourite products such as Event Passes and Mirror Hooks. 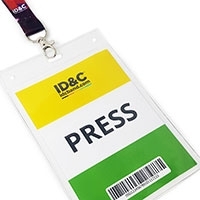 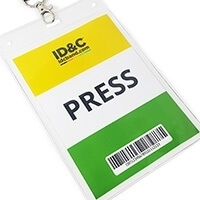 We have been working hard at ID&C to create a green solution to all of our customer’s needs. 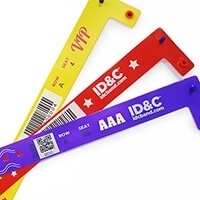 With increased pressure on events, venues, stadiums and hospitality companies to become more Eco efficient we have been inundated with questions and queries about how we can help them be greener. 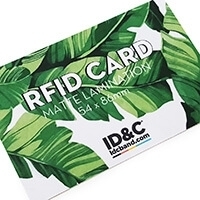 We will continue working on our Eco Product range to find new ways to lower the impact on our environment. 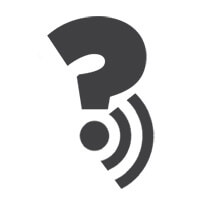 Check out our blog to find out more (You will be taken to our UK site). 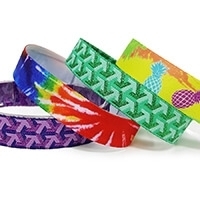 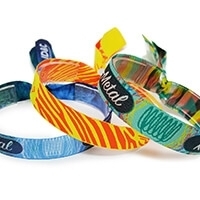 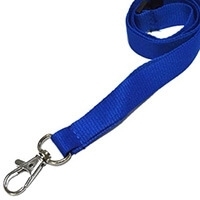 Our best selling Fabric Wristbands and Full Color Lanyards are now available in an Eco friendly fabric variety. 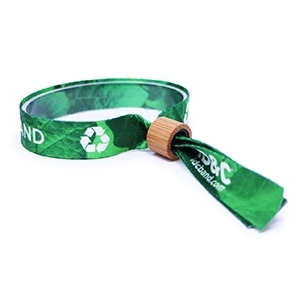 Created from recycled plastic bottles, the wristbands come with our unique Bamboo Barrel Lock as standard. 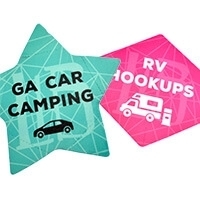 Both available with full color printing options. 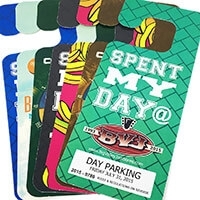 We also have a large variety of our Vehicle Passes, Event Guides and other Passes available in a recycable option. 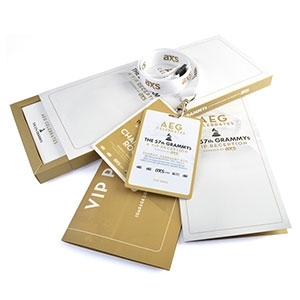 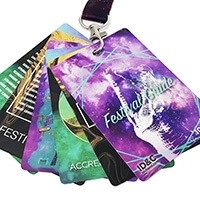 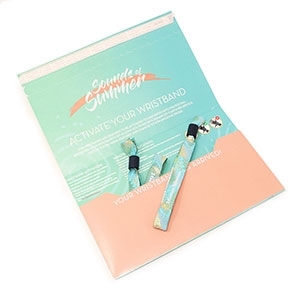 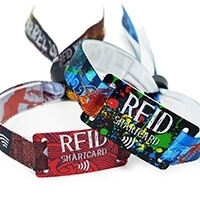 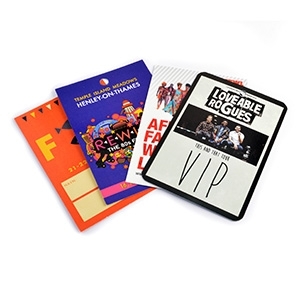 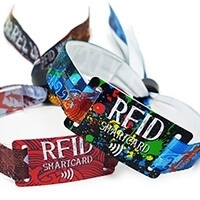 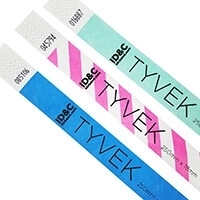 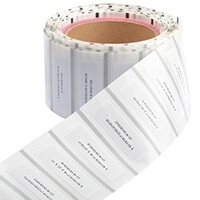 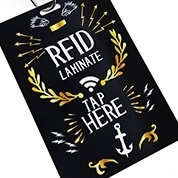 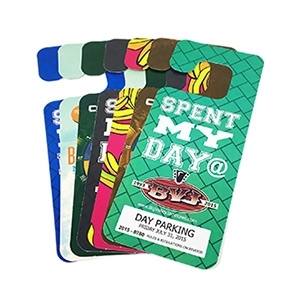 VIP Credential packs and Wristband Mailers are perfect for delivering your customers order in a more professional manner, if your event is using RFID they can feature clear RFID activation instructions inside.